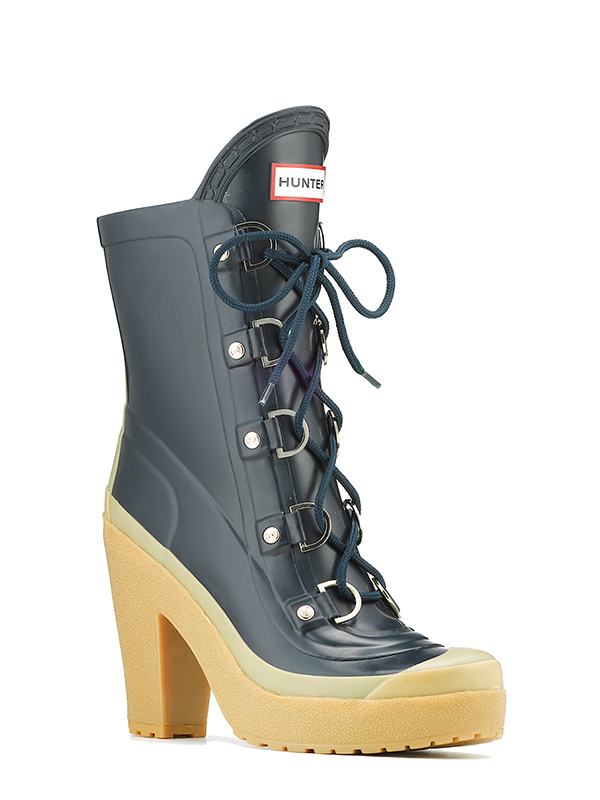 No matter what part of the country you live in, you’ve undoubtedly had to pull out your rain boots this season. Some of us have had to live in them with the seemingly endless storms. Living in Southern California, we haven’t had much opportunity to pull our rain gear out these past few years. And, thankfully we have been able to make up for it these last several months. 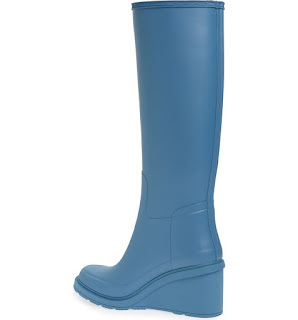 And while it’s been some several years since I’ve had any inclination to shop for them, rain boots have definitely become more fashionable and more adorable. Kate Spade hasn’t disappointed with Raylan donning the sweet bows. 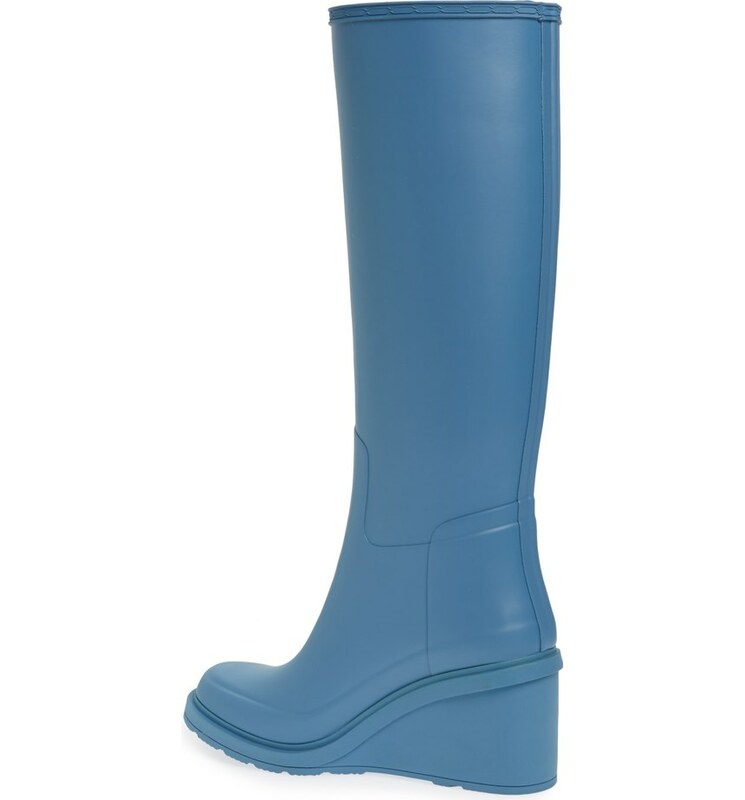 But rain boots have also grown in variety becoming far more functional as well as being very stylish. 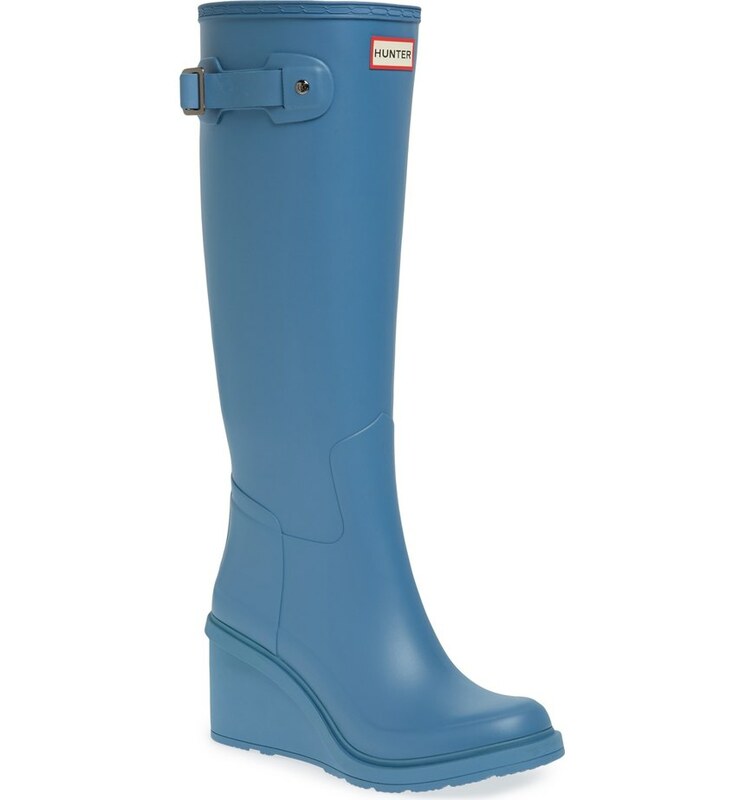 Gone are the days of your childhood galoshes with the tote bag stiff handles. Still holding my number one pick are the Steve Madden Tsunami. Getting out of those slippery suckers when I’m drenched make me so grateful each time I zip out of those in under 30 seconds flat. While the Hunter Gabby has proven to be as rugged as they are stylish over time, the Hunter knee-high wedge rain boots have become one of my go to pairs. A wedge rain boot. Genius! You get the all the awesome slimming height of a heel with the stability of flats you need on slippery surfaces. And of all rain boots, this silhouette is my favorite for office wear. They go so perfectly with skirts and dresses. They are sleek and so unbelievably comfortable. Truly. I swear these suckers are squishy in all the right places and yet supportive in all the essential places. This is like taking jellies to a whole new level! 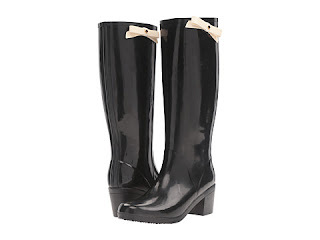 Most of all I’m jazzed about all the awesome rain boot options we have to switch up our daily work wardrobe and break out of any fashion work wear rut you may find yourself in. Let’s go celebrate the great rain and splash like no one’s watching. 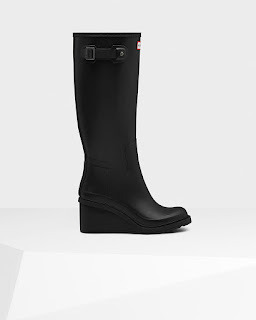 Rain boots are really one of the blessing.Not only it saves us from sinking to the water in rain but it also looks so classy if we wear it with tops or capris.